I don't think this is a secret, but I love nail polish. I love the colours, the finishes, the amazing creations that fill the numerous nail blogs I stalk daily. So, it was obvious that when I first heard about a book celebrating the history of nail culture, I knew I had to be in line for a copy. That is saying a lot, as while I have quite a large collection of books, and obviously, a bit of a thing for cosmetics and the like, until now had no books on the topic. "Nailed" is the first of it's kind, and I was truly excited to be schooled on the historical aspects regarding nail polish and how it has come to be a part of our culture. Since this is a coffee table book, it is large and thick (216 pages). I was expecting not only exquisite photography, which it does deliver (more on that later) but also a fair amount of copy. An era from the historical timeline of nail adornment section. 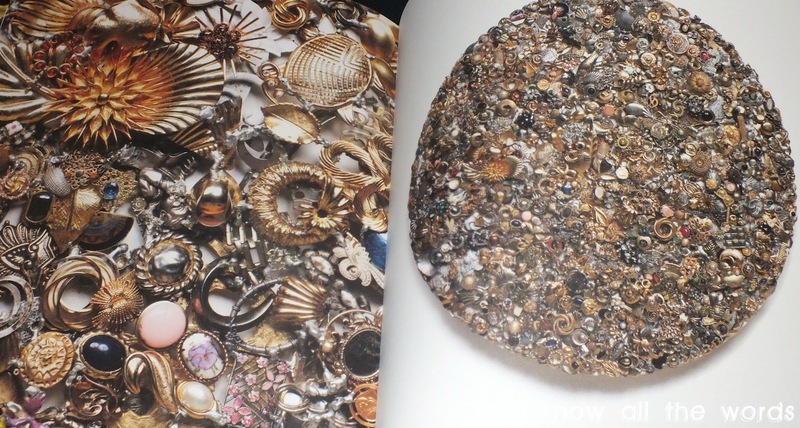 Amount of book dedicated to the historical timeline of nail adornment. That is the first area in which "Nailed" falls short. The first section, a mere 14 pages, is the 'historical timeline of nail adornment'. The pages in this book are beautiful, thick paper but are not utilized in this section at all. 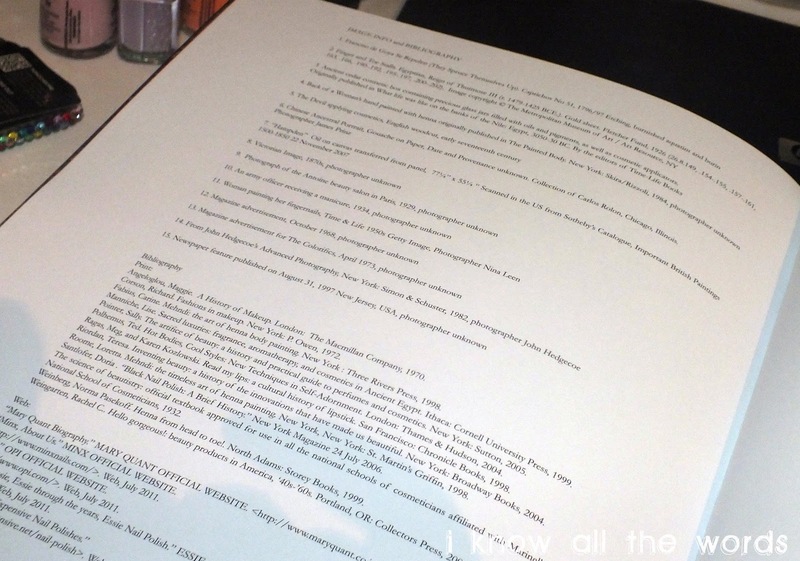 Each page documents one era of time in the timeline, but only consists of one photo and a mere paragraph of text. This is a topic I love, I want to know the details. Obviously. If I wasn't interested I wouldn't have shelled out the $44.97 CAD for it. As a researcher, it pains me to know how much information could have (and should have) been included in this book. While it's true that one would have to work to gather said information I think it would have been worth the effort and made for a more comprehensive work. I knew going into it that the historical portion was just that, a mere portion of the book, I was still hoping for more. 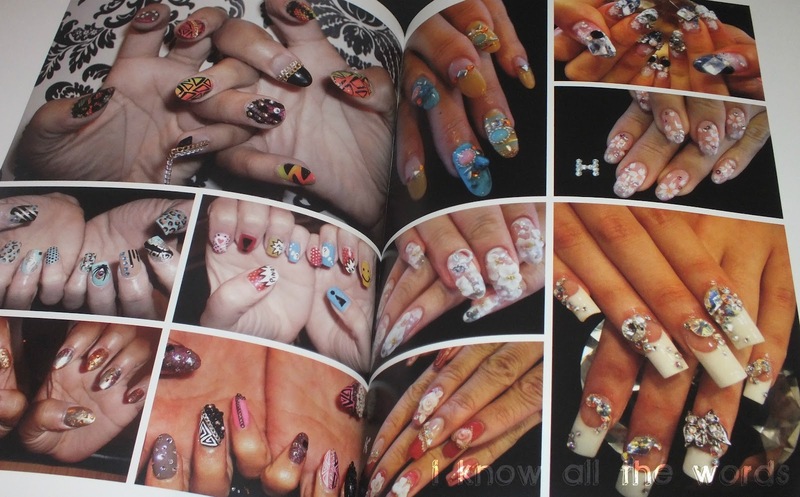 The second "chapter" if you will is (as labeled in the contents) is 'Global Contemporary Nail Culture.' In other words, nails from the real world. This section consists entirely of photographs. While the photography is gorgeous, I couldn't help but feel a bit let down. I know, I seem hard to please, stay with me. The majority of the photos are of the stereotypical "ghetto" nail look.Think overtly long, airbrushed false nails and the ever so popular airbrushed sunset. While this is a part of nail culture, it is just that a part. The author neglects to include all aspects of the culture. 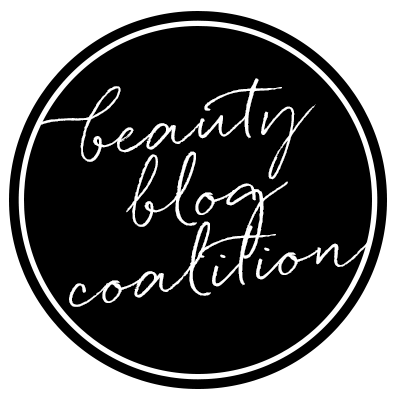 Bloggers have exploded in recent years and have defiantly pushed and made trends. While the overly adorned nail has it's place, where is the real nail art? The painstakingly detailed masterpieces depicting everything from, well you name it and chances are you can find it painted on a nail. I might be a bit biased, as I keep my nails short and I like them that way, but good nail art does not need to be on a four inch nail to be amazing. Editorial creations and the avant-garde can be stunning as well, but this section is meant to be the contemporary. The everyday nail art lover/wearer is not represented here, nor are a large portion of the people who produce the the type of nail art I associate with the contemporary label. Other than what was left out of the photos contextually, was the lack of copy. The photographs were only accompanied by the name of the photographer and the city they were from. While there is additional information to be found in the bibliography at the end of the book, there is not a detailed source for each of the nail works. A little more credit to the artists would have been nice, or at least name the salons where the work was done. From the photos it seems like most of the work was created by nail techs and salon artists. 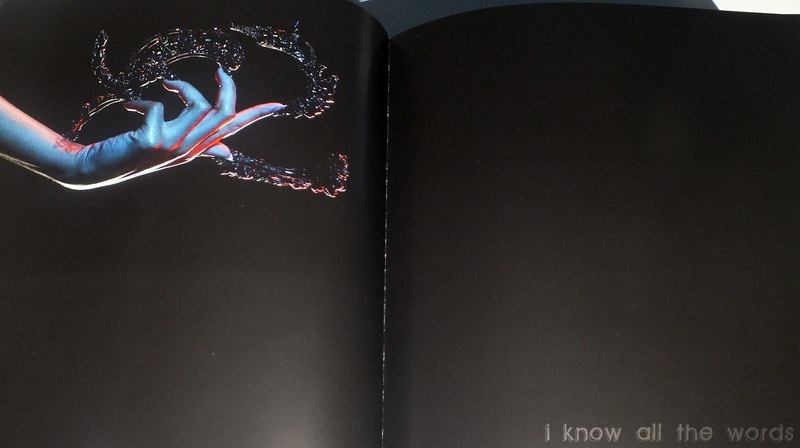 The next portion of the book is ' DZine's inspiration, appropriation, homage' which is forwarded by Kim Hastreiter. While the forward is only one page, it is a full page of text (first, and only in the book). While I haven't read the entire thing ( I am trying to save some of the text, although I want to devour it all now, I know it will be best to space it out.) it is interesting and well written. It chronicles Hastreiter's first introduction to nail culture and how it evolved and grew. The forward ends on the subject of Dzine, the 'author' of "Nailed" and prominent nail artist. Photographs of his work take up the next section. While again, the photography is amazing, the designs profiled are redundant and not accompanied by any text. If this was my book, and my work I would take it as an opportunity to put more out there. Explain your thought process, what your inspiration was, the theme... anything. There is nothing from the author in this book. I honestly think the profiles of his work could have been left out. There are some beautiful images, many do not even prominently feature his work, but still stunning; but without more context they are pointless. The last section, also the smallest, is the 'Imperial Nails' NYC Exhibition (Sept.2011) While the exhibition seems interesting, there is no explanation of what it was. Surprise, surprise, no copy. The images are gorgeous, but again without context a bit lacking. I will be looking the exhibition up online, as I know nothing about it. To include it in the book without any additional information is a bit absurd. I have a fair collection of coffee table books, and know that they are often designed to be picked up and glanced at for a few moments and not read front to cover like a novel; but the ones I have and have had the opportunity to see, are designed to interest the viewer and make them want to sit and read more. All of my coffee table books are indeed beautiful, as "Nailed" is, but they also are full of information and copy, text, words! I need more words from "Nailed". Overall, this book is nice to glance through, but not worth purchasing. Have you seen/read/heard of this book? Thoughts?